Round 7 of the Tal Memorial was played on Tuesday 4thOctober. The day before had been a rest day for the players and the final one before the closing three rounds of the tournament. It seemed that the players were still in laid back mood as the round was rather quiet and saw all draws. This was very good news for Boris Gelfand, because it meant that he didn’t lose. Having lost 5 games on the spin, his objective was to stop the rot and not drop another point and this he did by drawing his game against Evgeny Tomashevsky. It was not a very eventful game — theory until around move 16 and then a few moves of fiddling about before repeating. 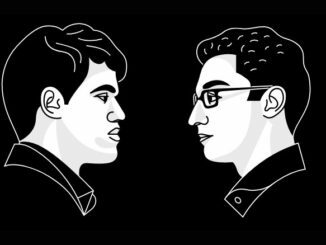 Anish Giri perhaps had other things on his mind, than his game against Vladimir Kramnik. The Dutch Grandmaster had welcomed the birth of his first child during the rest day. Anish and his Wife, Sopiko Guramishvili, are proud parents to their new baby boy, Daniel. My warmest congratulations to them both! When it came to the chess, the game went quite deep in to theory, with Kramnik producing a new move with 16…Ne6. Other games had continued 16…Bxe2. Black obtained an isolated Queen’s pawn, and play centered around this for a little while, before it was exchanged for White’s b-pawn. From here the position was a little bland, with both sides having their i’s dotted and t’s crossed. There didn’t seem to be very much either could do and it was no surprise when they repeated. 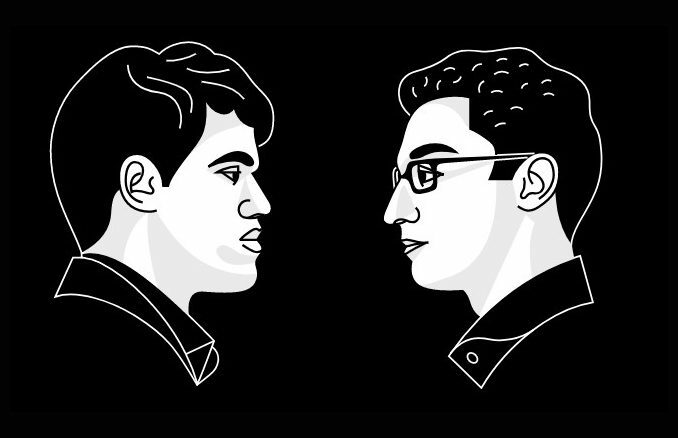 Levon Aronian had defeated Anish Giri in the previous round, costing the Dutchman the lead in the tournament. 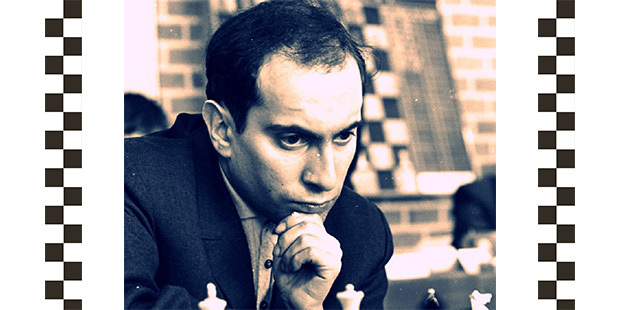 Unfortunately the Armenian could not keep up the momentum and had a rather tame game against Shakhryar Mamedyarov. The players exchanged down at lightening fast speed in the Queen’s Gambit Declined Hastings Variation and this left a very uncomplicated endgame. This resolved itself very naturally and the players called it a day. Likewise, was Li Chao’s Grunfeld with tournament leader, Ian Nepomniachtchi. Black equalised fine, and pieces disappeared from the board rather rapidly, which left an endgame that Grandmasters of a high standard will hold without issues. White had a passed pawn on the wing, but was unable to do anything with it, so they shook hands. Viswanathan Anand got in to an anti-Marshall with Peter Svidler. The Indian’s 14.Nh4 was new to the position, with Anand himself going for 14.d4 in his game against Adams at Wijk aan Zee in 2006. The game gave plenty opportunities for both players to go wrong, but neither really had any problems. White obtained a passed a-pawn, but Black had this more than in hand with perpetual check and the spoils were shared. Just one of those quiet days at the office, then, which left the standings unchanged from round-six apart from each player having another half point.